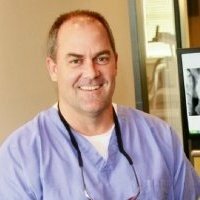 Hubby (pictured below) is a wonderful dentist who many flock to for all their dental needs. I, on the other hand, grace his office for a lunch date, six-month cleanings, and phone answering when he’s in desperate straits. I rarely need his professional services, thank goodness. Today, unfortunately, is the exception. I have a large fracture in my back molar which may require a crown. Dear God, don’t let me need a crown. It might even have to be pulled and prepped for implant surgery. AAHHGGGHH! I’ve never had a crown–nor an implant. Hubby does these things all the time. They don’t terrify him. I know I’m in great hands, but I have fears. We all have a fear of something. Usually from some bad experience in our past. Yes! The wisdom teeth removal at age 18. But that’s another story, though relevant. I am off to the dentist, my husband dentist. I hope he will offer me the same patience and courtesy he does others when I don’t open my mouth wide enough and my hands shake–or I gag. Previous This is So Exciting! Next It’s Mardi Gras Time!!! Yikes, that sounds painful! Best of luck to you! Well? What was the result?? I won’t say how many crowns I’ve had done.